The unfamiliar bird life is a source of constant wonder when travelling. Everything looks exotic when compared the the legions of small brown sparrows you get in the UK And I quite like sparrows. 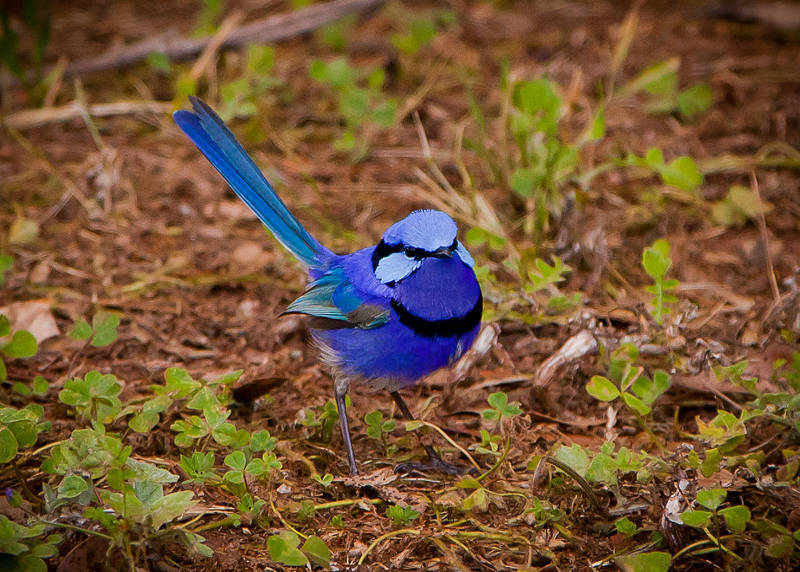 This Splendid Blue Wren or Fairywren is one of the most enchanting and also one of the hardest to capture. These tiny timid creatures dart about with such speed I had many shots of blurred blue feathers before I got this image. I am writing this entry from outside the Albany Rest Centre which is a curious mock Tudor public convenience with the added bonus of warm showers. Albany is the oldest town in Western Australia with many buildings in the colonial style. We had a sunny Sunday wandering the streets and beaches here before we plan to head inland again to the Borden Recreation Ground to spend the night. I love these fellows – but they are not all that timid. They will fight other birds! Wow. That is impressive considering their size. Maybe they I should say they are camera shy rather than timid. Thanks for your comment Blan.